To clarify the original blog, electronic signatures are not required at this time. Hospitals are still able to have the officer/CFO sign the signature page and then send in along with the required package of documentation. However, CMS has added the ability for providers to electronically sign for all types of cost reports and is definitely recommending this process to prepare for full implementation on the horizon. If you have an account to pull PS&Rs with, then your username and password should also work here to login. You will automatically be signed up for MCReF (Medicare e-Filing). No account? Skip to step 3. If you do not already have access to the PS&R system, then follow the prompts for creating a new account here: New user registration. Keep in mind that if you have not had experience in pulling PS&Rs, you must have a security officer and a user AND they must be two separate individuals. The security officer is the only person who receives the emails to approve new users and recertify current users. We highly recommend you have a backup security official in the event the security officer leaves the company. When you choose new user registration, you will be taken to a screen where you will need to select PSR/STAR: Provider Statistical and Reimbursement/System for Tracking Audit and Reimbursement. Once selected, you will be directed to a screen where you will need to complete your personal information in order to be able to gain access. Access is contingent upon whether or not you are allowed to have access to the data. As item (3.) states above, you will have access to both the PS&R reports and electronic filing once your security official grants you permission. This process could take some time especially if the security official individual has another full time job that they are working. If you’re in a time sensitive situation, you may want to contact them to let them know that you will be going through the registration process and need to have access granted as soon as possible. 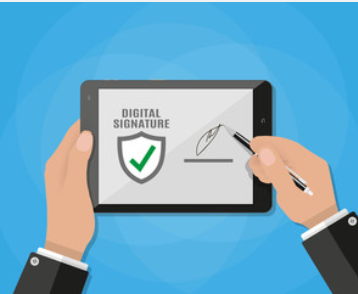 For additional information on Medicare cost report electronic signatures, please refer to this MLN matters article: https://www.cms.gov/Outreach-and-Education/Medicare-Learning-Network-MLN/MLNMattersArticles/downloads/MM10611.pdf. WPS also put out a memo on electronic signatures you may find helpful, here. Finally, you can contact your MAC at their toll-free number which can be found here or reach out to SCA should you need any assistance. We are always looking for future blog post suggestions. If there is a topic or specific question you would like to know more about, leave your suggestion in the comments below ⇓.